The body language course will open up a brand new channel of communication that may have been totally out of awareness before now. Do you ever wish you could know what someone is thinking? Want to know if somebody is lying or telling the truth? Did you know that the words we use is only 7% of our communication? The other 93% is made up of our non-verbal communication. Body language, micro expressions and other non-verbal communication is a great way to gain insights into how others think and feel. It is also very powerful to improve your everyday communication with others, using science based research. Have you ever wondered how some people seem able to effortlessly and effectively communicate with others? Excellent communicators know how to use and interpret their own and other people’s body language and other non-verbal cues. These include Micro expressions, voice tonality, gestures and other ways of communicating that we don’t typically think of. In this training, you are going to learn all about the science of body language and non-verbal communication. You will learn how to radically control your own body language, as well as how to uncover hidden emotions in others. If you ever interact with other people, then this body language course is for you. What you’ll gain from this one day body language course? 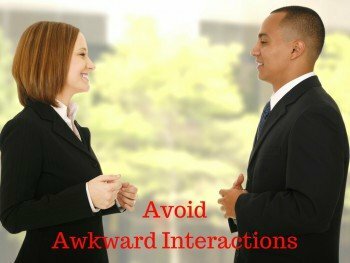 • Learn how to avoid awkward interactions. • How to positively influence others. • How to use gestures effectively. • How to use body language to build rapport. • You will learn how to use touch effectively. • You will learn how to use space effectively. • Use body language to increase your personal impact. • How to use body language as an important means of communication. • How to increase your presence, approach-ability and impact in meetings, networking etc. • How to read and interpret other people’s non-verbal signals. • Learn how people perceive you through your body language and how you can change your non-verbal communication to get your message across. • You will be able to use your new found skills in all aspects of your business and private life. From family and friend relationships, to dating, to presenting, negotiation, sales, leadership etc. • Learn how to stop unconsciously sabotaging yourself through negative non-verbal communication. What is covered during the 1 day Body language workshop? • How to read other people’s emotions. • How to use body language for effective presentations. • Lie detection- Become a human lie detector. • The power of a hand shake and how to give a good one. • More effective telephone communication using non-veral’s. • Using body language in negotiations. • Non-verbal’s in relationships and dating. • Effectively use non-verbal communication in selling and pitching ideas. • How micro expressions and other non-verbal communication convey much more information. • How to and the value of reading and interpreting other people’s body language. • How you can intentionally communicate with your own body language. • Communication is a 2 way street. Even if the other person does not speak. • How to change and control your own state through your body language. • How to control what you communicate through your body language. • How to make positive impressions with your body language. • Learn how to engage your audience using body language. • Understand the role of micro-expressions in communications. • How to recognize real and fake smiles. What to do when you see them. Who is this body language training for? • Singles who want to improve their dating skills. • And everybody who has human interaction. How is the body language course delivered? This is a live one day training. You can take this course as an open course, or if you prefer, we can deliver the training for you in house. To find out more about in house rates, simply contact us to discuss your requirements. Being in this training environment makes for a very supportive way for you to learn by doing and experiencing real life examples and exercises. There are group exercises, learning games, discussion and role play. You will also see a number of real life video examples of body language, what people do when they are lying and how to spot them. Your manual doubles as your workbook and your personal growth action plan. You will be able to take all your notes, images and video examples to assist you as you learn, practice and hone your new body language skills. On your journey to mastery, it is suggested that you get as much practice as possible to help you adopt and integrate your new skills. Booking your body language training. The body language and non-verbal communication training is delivered in various cities. You can look under the courses tab in the top menu for the venue and date that suits you best. Alternatively, you can contact us for more information or to reserve your place on the next training. If you are also booking the NLP or coaching courses, please ask for your special rates.